Google surprised everyone when it announced the release of the Google Chromecast along with the new Nexus 7 tablet. There were no rumors or leaks of the Chromecast before it was announced which is why there was the surprise. The Chromecast is an ingenious device which allows you to stream video to your HDTV and control the content with your Android device or Chrome browser. 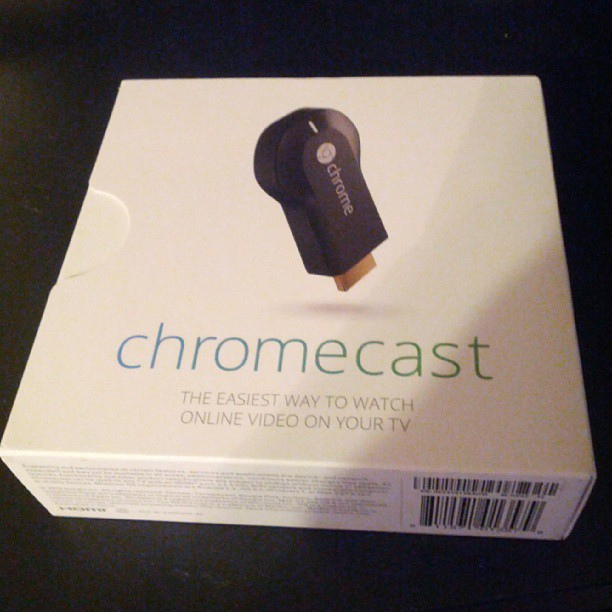 Here is my review of the ChromeCast, which is unlike any other streaming device on the market. When Google announced the Chromecast device I was not planning on buying it because I have so many other streaming devices connected to my TV why would I want another one. But with the low price of $35 dollars and the included 3 free months on Netflix I decided to buy a Chromecast. I along with most people thought that with a Chromecast you could stream from an Android device or Chrome browser right to a TV. And like everyone else I was wrong the Chromecast does not grab the video from the Android device like DLNA on some Android devices or AirPlay on Apple devices. The Chromecast connects with the Android device and get the information on where the audio or video is located online and then connects to the online source to stream the content to the TV. The setup is really easy once you take the Chromecast out of the box you just plug it into the HDMI port on your TV and connect the micro USB cable to an available port on the TV or to a power outlet. Once everything is connected you then go to the Chromecast setup webpage and download the setup app. With the setup app you connect the Chromecast to your wireless network(unfortunately only 2.4GHz networks are supported.) You can then choose a unique name for your Chromecast, mine is called Dave’s Chromecast which isn’t very creative but it works for me. The setup app will also install the Chromecast extension on your computer and then it’s setup. From there you won’t have to interact or configure the Chromecast anymore everything is done behind the scenes with the apps and your computer. You can also download the Chromecast app which shows you the apps that Chromecast works with and the status of your Chromecast. Now that the Chromecast is all setup you can cast all your YouTube, Netflix, Google Play videos, and Chrome Browser tabs to your TV. To send the video to the TV you simply hit the Cast button in the supported app or in Chrome browser and then it will show up on TV. Your device will still be used to control the video and in some apps like YouTube you can queue up videos to be played on the Chromecast. When using the Chromecast with play video from apps I have not had any problems with lag or sync issues. The only problem I have run into while using the Chromecast is when casting from the web browser either when I am on a regular web page or when streaming video or audio there tends to be a disconnect or lag while it is streaming. 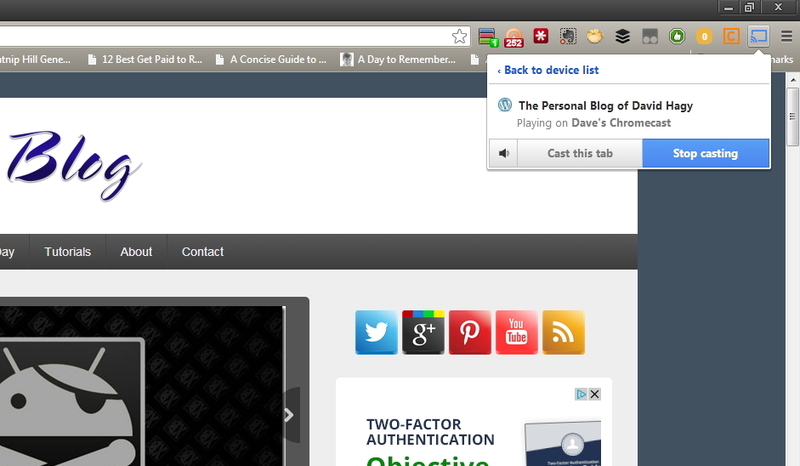 I think this is an issue with the Chrome extension and hopefully software updates will resolve the issue. The most glaring downside that people point out on the Chromecast is the lack of apps and services that support it. Right now officially there are only 3 apps that work with the Chromecast. But because of all the developers in the Android and Chrome environment there are tons of hacks for the Chromecast from playing videos that are stored locally to playing videos games on Chromecast. There is a great Chromecast hacks G+ community where hacks are shared all the time, it is a great way to stay updated on all the cool things people are doing with the Chromecast. If you want to know which apps and services are planning on supporting the Chromecast here is an updated spreadsheet with the apps and services rumored to be coming out. Some of the apps that are supposedly going to work with Chromecast are; Pandora, HBO GO, Songza, and AOL On. Hopefully there will be many more apps that work with it. After using my Chromecast for a few weeks I really like how it works and I am using it often without any problems. Because the Chromecast is so cheap for $35 dollars and it has such potential to work with all audio and video apps it makes the Chromecast a product to think about buying. 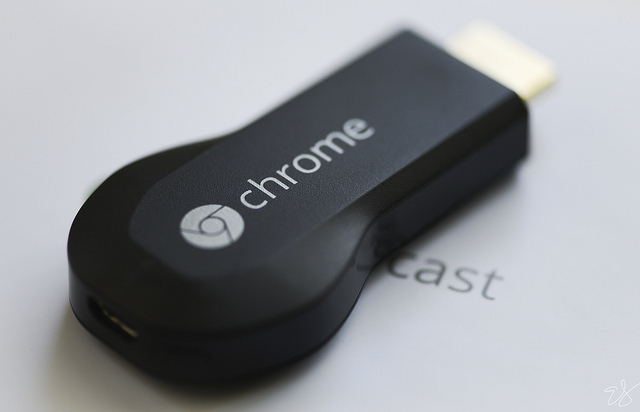 If you are someone who likes to watch Internet TV on your TV then the Chromecast is a device for you. There may be a few bugs but the technology the Chromecast uses is a big improvement from other stream devices. If you are only wanting to watch Netflix on your TV than the Chromecast may not be the best device for you, but you are not going to find a device for less. I would recommend the Chromecast to anyone who is looking for a Streaming device and has an Android device. More and more video services are going to work with Chromecast and the future is looking bright. 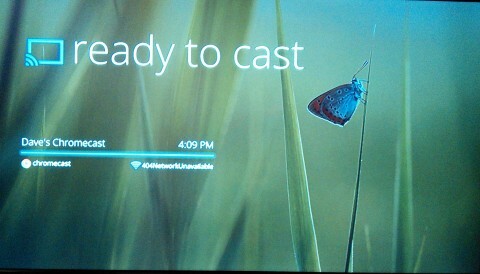 I am just surprised and happy with what my Chromecast can do, and I can’t wait to see what will happen next.